According to a report published today by Bloomberg, Apple has an initiative code named "Marzipan," that will allow developers to build universal apps for both iOS and macOS. In other words, the very same app build will work on both operating systems. 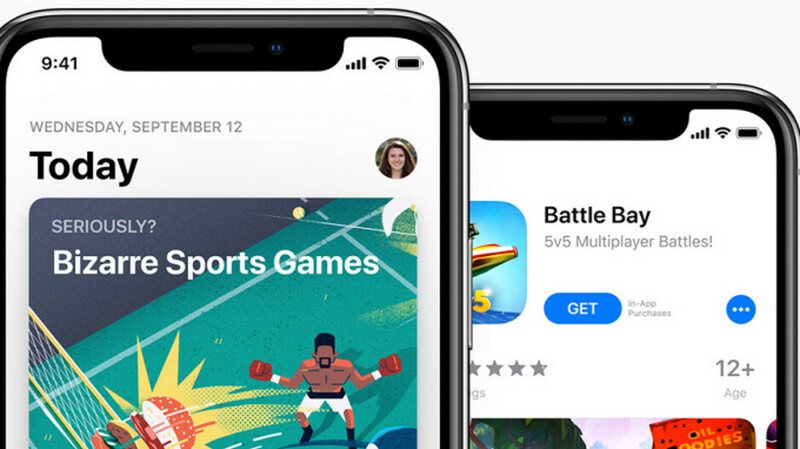 Apple hopes to launch a universal apps platform by 2021, and believes that this plan will lead to a multitude of new apps created by developers. Apple is looking to adjust to a world where it can't count on iPhone sales to help the company grow. The 2018 line has been struggling at the cash register forcing Apple to offer a discount in exchange for the trade-in of an older iPhone model. But the tech giant has already been planning to expand the revenue from its services unit from $35 billion in 2017 to $50 billion next year. The company reported such revenue of $10.75 billion for its latest quarter, a company record. The division includes Apple Pay, Apple Music, iTunes, AppleCare and the App Store. And Apple takes as much as a 30% cut of revenue generated by apps in its storefront; as developers create new apps, more money ends up in Apple's coffers. Apple plans on slowly updating its Software Development Kit (SDK) before offering developers the opportunity to create universal apps. Later this year, Apple will revise its current SDK to allow developers to port their iPad apps to macOS. The revised SDK could be unveiled at Apple's next Developers Conference expected to be held in early June. According to those in the know, developers will be able to write one version of the app, but it still will have to be submitted separately to both the iOS App Store and the Mac App Store. Next year, the SDK will be updated again to allow developers to port over their iPhone apps to Macs. This has been a tough job for engineers at Apple because of the difference in screen sizes between the difference iPhone models and the Mac range. By 2021, developers will be able to submit one single app for the iPhone, iPad and Mac. This will allow Apple to combine both its iOS and macOS app stores, leading to less work for developers, more apps for users, and more revenue for Apple. The source of the leak says that this plan is not written in stone and that there could be changes made. Talk about Apple allowing universal apps for iOS and macOS was first leaked in late 2017. At that time, there was talk that this would take place in 2018. That never occurred, of course, but will apparently take place in a couple of years. The same story used Twitter as an example of an app that is updated constantly on iOS, but has been neglected on macOS. With the universal apps platform, Mac users will be able to use the same up-to-date version of Twitter found in the iOS App Store. The creation of universal apps for iOS and macOS will be helped if Apple replaces the Intel processors used on the Mac line with a processor of its own design. This is rumored to take place as soon as next year. Apple already designs its own chipsets for the iPhone and iPad, which are currently manufactured by TSMC. The story today notes that even though Apple is planning on creating universal apps for both its mobile and computer operating systems. it has no plans to create a single operating system for all of its devices. If Apple introduces universal apps, it wouldn't be the first company to do so. Microsoft, before killing Windows Phones, offered Universal Windows Platform (UWP) apps that worked on phones and computers running Windows 10. And the Android powered Google Play Store is found on some devices that run on Chrome OS. I hope this doesn't create major optimization issues. If it materializes, it could allow desktop apps such as FCPX to be available on the iPad, which is what everyone is asking for. Who knows, we might be able to run them on the latest iPhones at that time! Why stop there apple?? Maybe consider making all your accessories compatible with Android - might be a good way to generate more customers towards your platform in the future (ex: your next generation smart speaker, and your wireless charger if you ever happen to make that a reality).